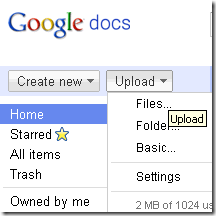 Here is a little known fact about Google Docs. 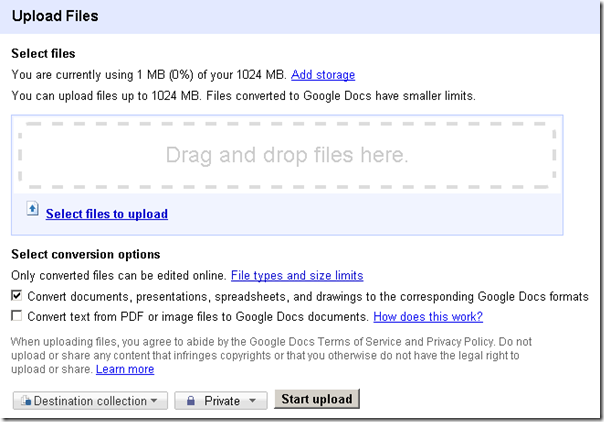 You can easily send a large file or folder to someone else by just uploading it to Google Docs. 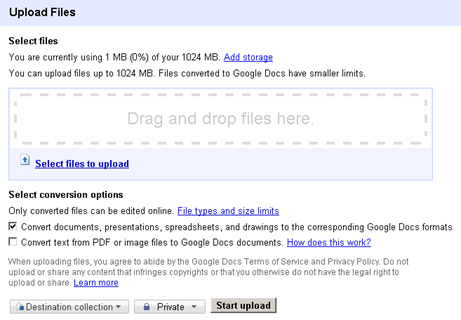 Google Docs has an upload feature that lets you add files or folders upto 1GB in size. This screen lets you drag and drop files/folders from your desktop. You can choose to convert to Google Docs format or if you are just using this to send someone files too big to email, then uncheck that option. If you are sending something private, make sure you have the private option chosen. You can also optionally choose where you want this stored. Once uploaded, click on the link generated with the file/folder you uploaded. Go to Share and open Email Editors/Viewers. Add email address of people you want to share your uploaded document with and send it. There are other services like drop.io, sendbigfiles.com, etc. that does the same. But, if you already use Google in your daily workflow, this might be a better option. 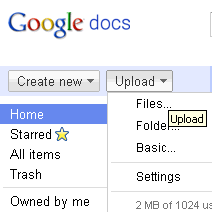 Another favorite option is File Apartment (http://www.fileapartment.com). Easy to use, no software to download or registration, up to 1 GB, safe, and secure. Another website where we can send or transfer big files is Sytern. Sytern is located at http://www.sytern.com and is pretty cool. Check it out also.